A new report by TNI traces the emergence and the current trajectory of the bioeconomy and highlights how corporate interests have managed to capture and dominate its development and growth. The bioeconomy agenda emerged in response to the need to find alternatives to fossil fuels. The idea is based on increasing the use of biotechnologies and biofuels, and is a response to growing concerns about the unsustainable use and management of finite natural resources. 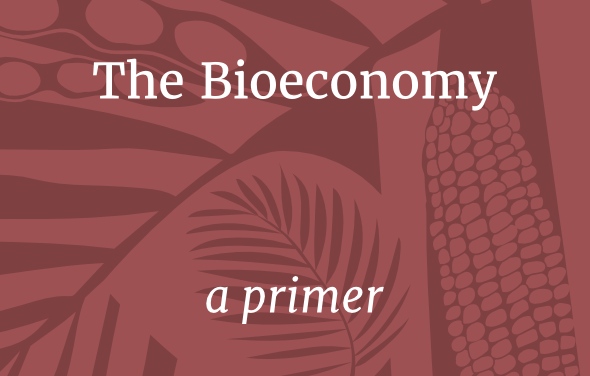 The bioeconomy is based on the premise that achieving a better balance between biological resources and human economic activities is generally problem-free. However, the way in which powerful corporate forces are defining and driving this agenda is highly problematic. In particular, the impact on agricultural land is of critical importance, as the increasing production of agrofuel crops entails land being shifted away from food production. This primer by TNI for the Hands on the Land campaign raises a number of key questions in the hope that they will contribute to a debate: does the current approach to the bioeconomy need to be completely rejected as an inherently destructive agenda? Or does the idea of the bioeconomy have enough potential that it should be reclaimed and restructured?